On 20 December 2017 that CZ LOKO publicly announced that it had received an order from PSŽ for one EffiLiner 1600 ‘Bizon’ locomotive. It was indicated by the Czech manufacturer that delivery would occur in early-2018. Already on 5 January 2018, the locomotive could be seen outside the CZ LOKO works in Česká Třebová. An overview of all EffiLiner 1600 locomotives can be found on MainlineDiesels.net. 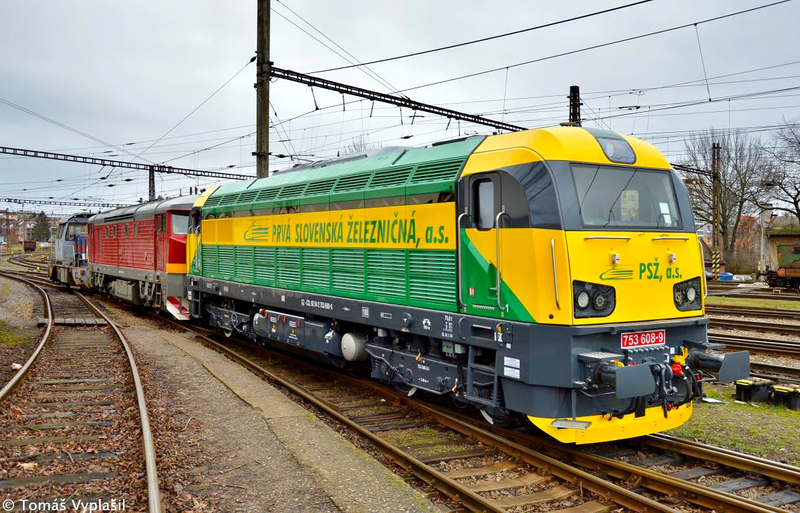 Not yet delivered to PSŽ, 753 608-9 is captured on camera outside the CZ LOKO works in Česká Třebová on 5 January 2018. Photo: Tomáš Vyplašil.